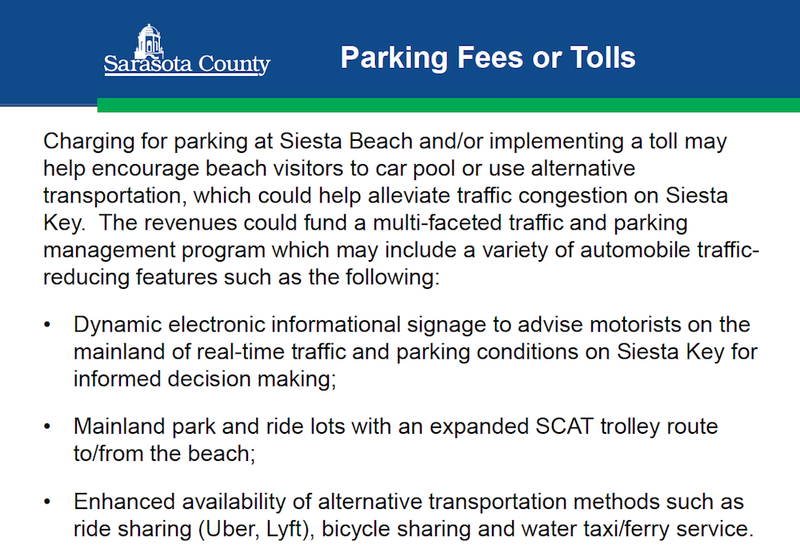 On July 11, 2017, the Sarasota County Commission first expressed an interest in the potential for a paid parking program at Siesta Public Beach. 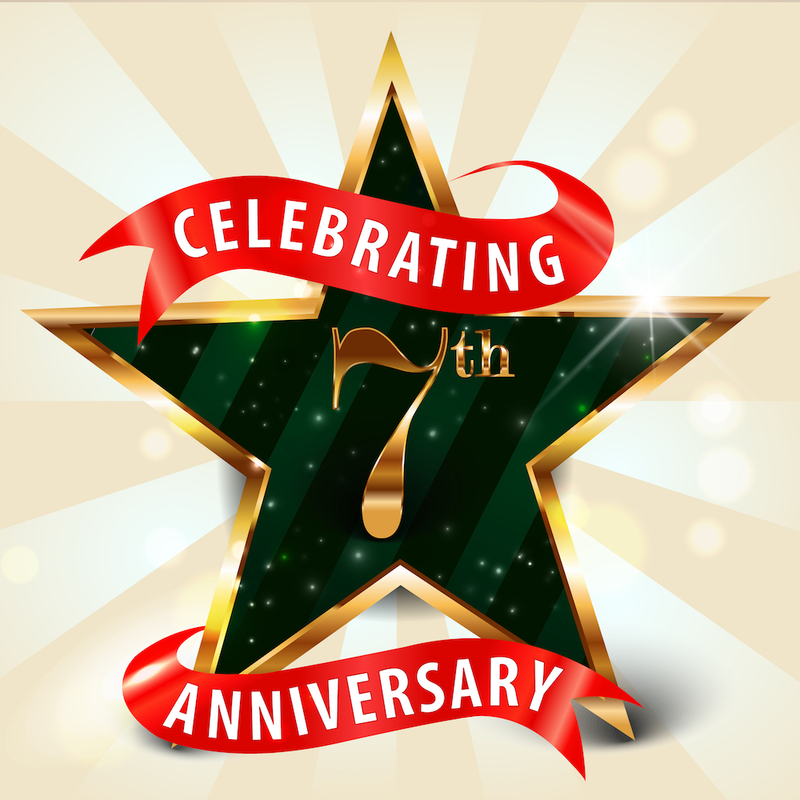 Exactly one year later, Carolyn N. Brown, director of the county’s Parks, Recreation and Natural Resources Department, appeared before the board for a review of the year-long process she and her staff have engaged in as a result of that decision. She also offered an update on the latest research. Even before Brown began her remarks, however, Chair Nancy Detert repeated a suggestion she has made in the past — that the commission hold a half-day workshop to conduct a thorough discussion regarding what its next steps should be. During a regular meeting, such as the one this week, time for each agenda item was too constrained for the detailed airing of ideas the board needed, Detert said. Perhaps September or October would be a good timeframe for the workshop, she added. She won consensus of her colleagues for that plan. 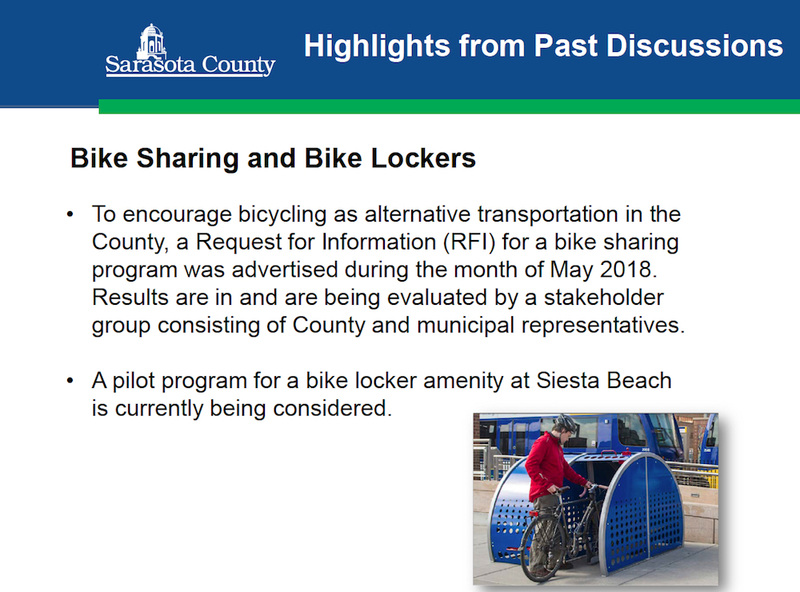 Among the potential actions up for discussion during that workshop, based on Brown’s July 11 remarks, will be whether county staff should issue an Invitation to Negotiate (ITN) or Request for Proposals (RFP), to seek firms interested in working on a paid parking program at Siesta Public Beach. 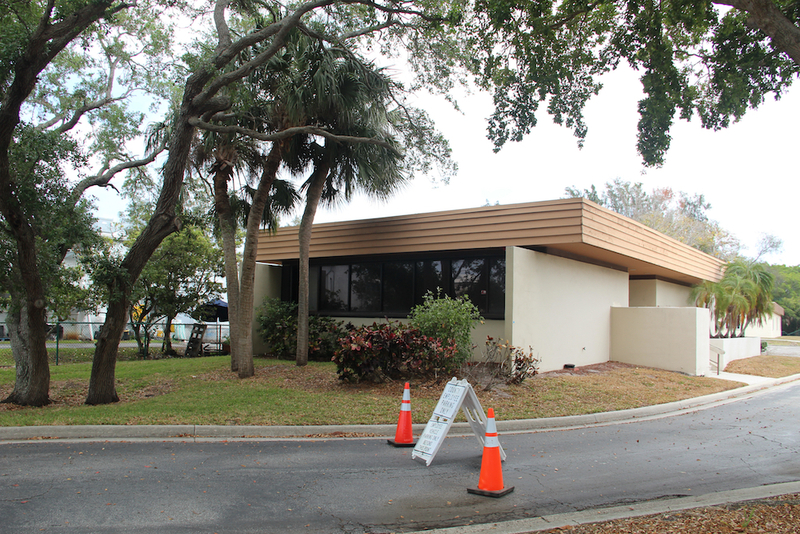 An alternative might be hiring a consulting firm — as the City of Sarasota has done in the past couple of years — to draw up a plan for the beach parking lot. Given the city’s experience with research into metered parking on St. Armands Circle and in downtown Sarasota, Brown said, that expense for the county could run from $40,000 to $100,000. Commissioner Charles Hines joined Commissioner Alan Maio — who represents Siesta Key as part of his District 4 territory — and Detert in emphasizing the need for the public to be engaged thoroughly in the process. He concurred with Detert that a workshop would be the best venue for an open discussion, with members of the public able to provide their comments. Maio suggested to Brown that she try to schedule a presentation during one of the monthly Presidents Council sessions on Siesta Key, during which leaders of the Siesta Key Chamber of Commerce, the Siesta Key Association and the Siesta Key Condominium Council discuss a variety of issues. That way, Maio indicated, Brown could update the representatives of those organizations about plans for the workshop and encourage their participation in it. 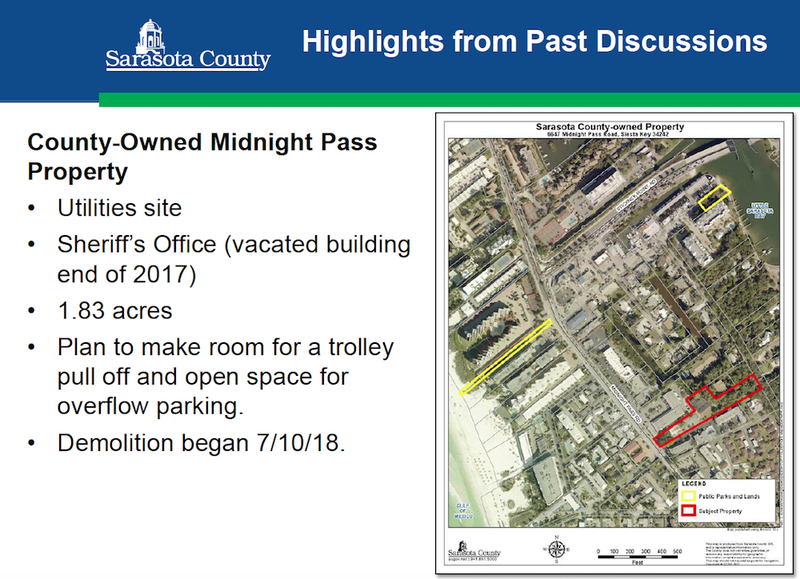 The potential for construction of a parking garage on the 6647 S. Midnight Pass Road property vacated last year by the Sarasota County Sheriff’s Office, which had used a building on the site as a training center. County Public Utilities Department staff still must maintain infrastructure on the 1.83 acres, Brown noted, including a building that encloses a groundwater tank and underground pipelines. Detert added that that if the garage idea won traction, the next decision would be whether to charge people to use it. After the building has been removed, Brown continued, her staff and representatives of the county’s Public Works staff will have a better idea about what can be done on the property to create public parking. Maio referenced earlier staff research indicating the potential for 30 spaces in a shell parking lot. Implementation of a bike-sharing program. Who should pay for parking at the beach, if a program begins, and how much they should pay. The potential of working out agreements with shopping centers on the mainland to which the Siesta Key Breeze open-air trolley service could be expanded. If the county leased 20 to 50 spaces at such locations, Commissioner Maio said, the trolley would be able to ferry people between those centers and the beach. Continuation of the Siesta Key Breeze, at a cost of approximately $1 million a year if it remains free. Brown also noted during the July 11 discussion that staff members in her department and the Public Works Department “recently completed the driveway through the Turtle Beach Park so that the trolley can more easily turn around,” with the work also designed to eliminate dust that had been a source of consternation for nearby residents. 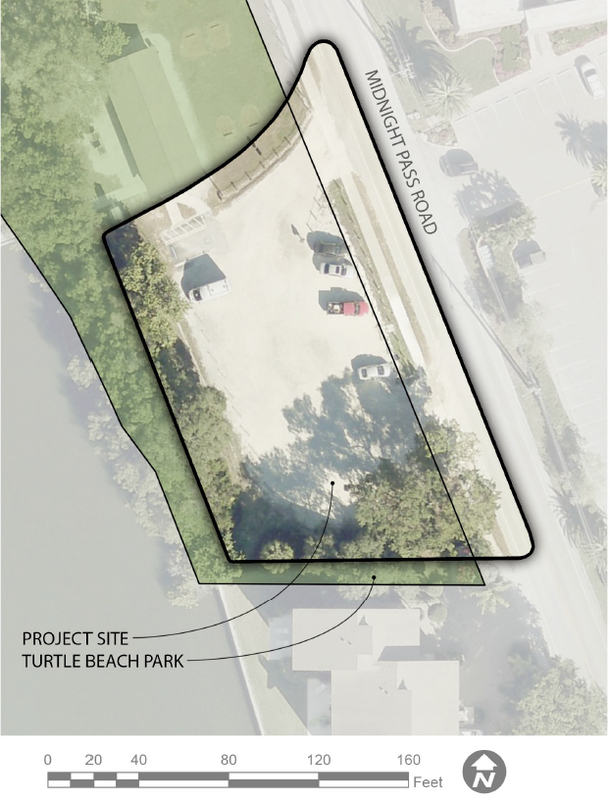 On May 22, the commissioners approved the $157,206 expense to pave one of the remaining shell areas of the Turtle Beach Park parking lot on south Siesta Key. That section is in the northeast part of the park, fronting Midnight Pass Road and one the large picnic pavilion. Early in the July 11 discussion, Detert expressed a preference for delaying the workshop until after the Florida Department of Transportation (FDOT) completes the Barrier Island Study involving Siesta Key, which the County Commission approved earlier this year as a request for priorities of the Sarasota/Manatee Metropolitan Planning Organization (MPO). However, Brown explained, “The funding has not been allocated [for that].” It is anticipated, she said, that the study will be funded in FDOT’s Five Year Work Program for FY2019/2020 through FY2023/2024. The FDOT project would be similar to one the department has undertaken for the Town of Longboat Key and the City of Sarasota. “There’s a long timeline there,” Commissioner Maio said of the county’s Barrier Island Study. “I noticed that,” Detert added. “We can’t, in my humble opinion, wait for that timeline,” Maio said.